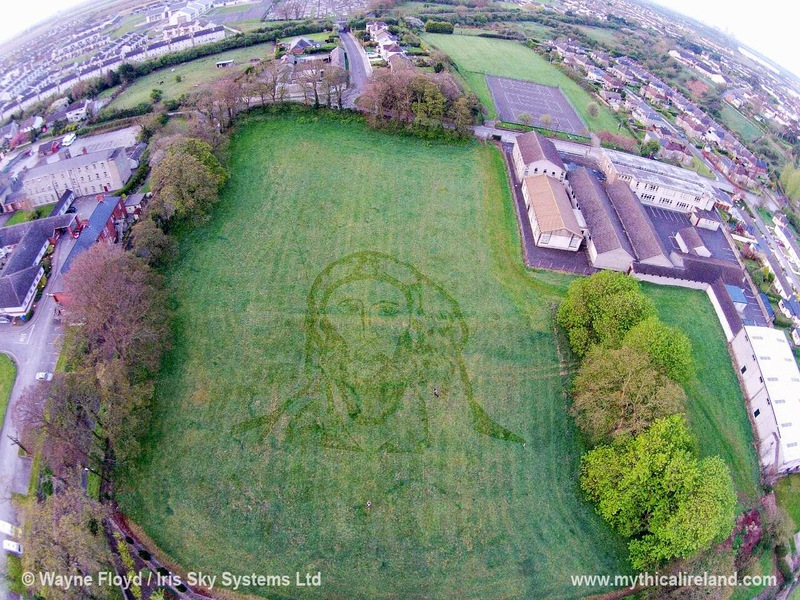 Irish artist Richard Moore has created an enormous image of the resurrected Jesus in a field in his home town of Drogheda. 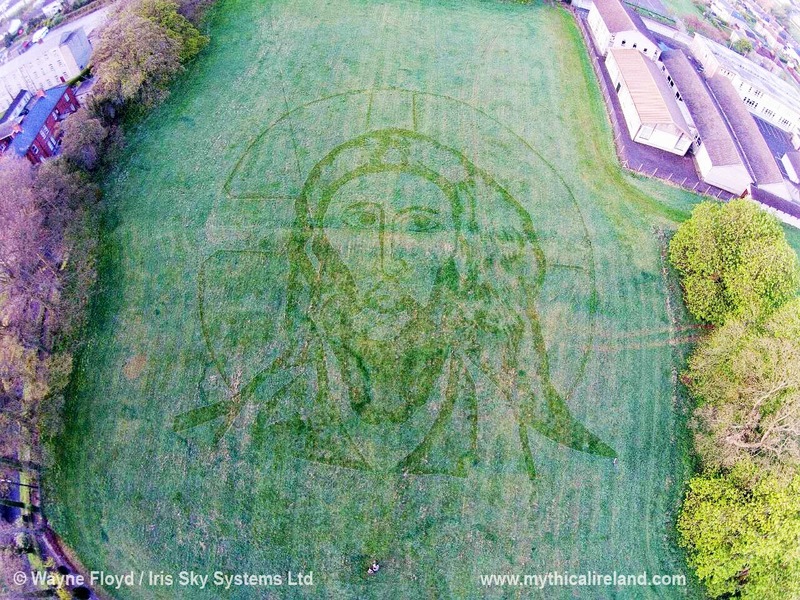 The huge depiction - based on a Byzantine image of the resurrected Christ - was created using fertiliser to help bring out the image from the surrounding grass. The gigantic portrait covers an area of approximately two acres. Richard Moore's image of the resurrected Christ viewed from the air. Richard explained the inspiration behind the image: "This image stems from a line in the Psalms - 'I will remove sin as far as the East is from the West'. Jesus's crucifixion and resurrection is the balance restored for mankind. The eyes of the image are on a line in that is on an east west line that extends all the way from Drogheda to Croagh Patrick, an alignment which also marks the Spring and Autumn Equinox sunrise and sunset. And of course Spring Equinox is the astronomical event from which Easter is calculated each year." "Artist Derek Closkey and myself used very basic materials and astronomy to measure out the image," Richard explained. "I was trying to see how the ancient builders of megalithic sites might have worked out methods of transferring large images on to the ground without being able to see it and still get it right." Richard has a major interest in ancient megalithic sites and their alignments and is co-author with Anthony Murphy of the book 'Island of the Setting Sun - In Search of Ireland's Ancient Astronomers'. The giant depiction took about two weeks to create. Richard and Derek marked the area out and then put down fertilizer along the outline of the image to help the grass grow faster so that the image would 'appear' out of the surrounding field. He has never done anything like this before. Richard typically paints landscapes and streetscapes using mainly oil and acrylics on board and canvas. This is certainly the biggest canvas he's ever used! !